Your house gutters play a vital role in protecting both interior and exterior components of your home. House gutters work in conjunction with your roof in order to keep water flowing over, off and away from your home. In this way, they help keep your roof safe, because a malfunctioning gutter will lead to a leaking roof. They also work to protect your siding, your landscaping or garden and your foundation. When your gutters are clogged up, water overflows and can do damage to any or all of these elements. 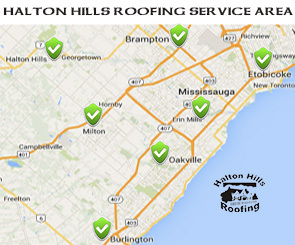 Because we want these protective components of your home to provide you with long-lasting, low stress security, Halton Hills provides dependable eavestrough cleaning, gutter repair and installation. Thorough and regular gutter cleaning is a major part of keeping both old and new rain gutters in good working order. 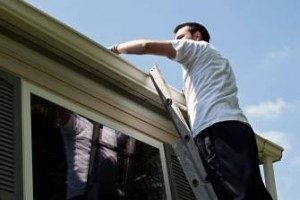 Eavestrough cleaning generally involves making sure there are no leaves, branches and other debris blocking the continual flow of water in your gutters and down-spouts. We generally recommend having gutters cleaned two to four times a year, taking particularly severe weather events into account. It’s always good to give your roof and gutters a good check after a big storm or blizzard. While home-owners sometimes take on this task themselves, many hire a professional company because of the advantages they can offer. First of all, a professional eavestrough cleaning will have the best tools to get the job done safely and without damaging your gutters. Secondly, we will be able to fully assess your entire gutter system to see if there are any problems or damage that need to be addressed. Any small issue we can catch and fix will be a bigger problem that you don’t need to deal with down the road. regular cleaning, but they don’t prevent the need for regular seasonal cleaning. Smaller debris may still get through and leaves may still pile up on top of the guards. You’ll also want to make sure the gutter guards themselves are maintained and in good condition. They are a very useful component to protecting your eaves, but you still want to make sure to take additional measures without completely relying on the guards. A clos e and attentive inspection of your rain gutters, is just as important as keeping them clean. A professional examination will make sure that all of your fasteners are securely attached to your house and gutters and that all of your gutters are properly angled towards the down-spout. 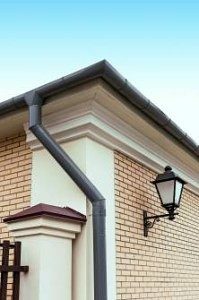 Standing water is often a result of bent gutters, or gutters that have come loose and no longer have their proper angle, this interrupts the proper flow. We’ll also make sure that any rust spots, holes, mould and other damage are properly addressed. 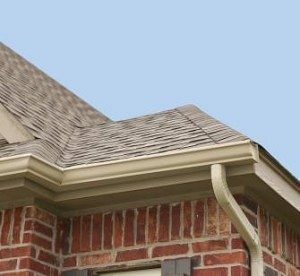 We’ll make any gutter repairs that we need to and if need be, open up a conversation about possibly replacing and upgrading your gutter system. Whatever your needs and whatever your situation, Halton Hills Roofing Georgetown is here to help keep rain water flowing through your gutters, not standing in your living room. Call at (905) 702-2306 today!